To test the utility of the FRAIL questionnaire as a screening tool for heart failure. Chinese older people in Hong Kong. Participants aged 60 years and over were recruited from a territory-wide primary care needs assessment for older people based in community centers as well as two nonacute hospitals. Questionnaire administered included the five-item FRAIL scale, and information regarding sociodemographic data, smoking and alcohol use, history of cardiovascular disease and diabetes, and heart failure symptoms. Handgrip strength, walking speed and 6 minute walk distance were recorded. Cardiac assessment included electrocardiogram, echocardiography, and blood assay for N-terminal prohormone of B-type natriuretic peptide (NT-proBNP). The prevalence of diastolic dysfunction was high, being 52% in the robust group, increasing to 65% in the pre-frail and 85% in the frail group. 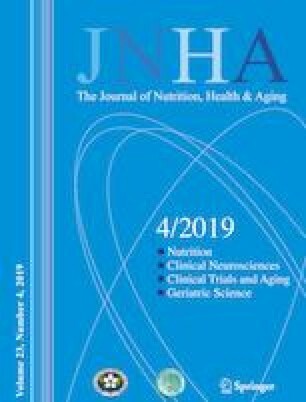 This finding is accompanied by a corresponding increase in NT-proBNP from 64.18 pg/ml in the robust group, to 118.57 pg/ml in the pre-frail and 167.98 pg/ml in the frail group. Three of the five components of the FRAIL scale, fatigue, resistance and ambulation, were associated with increased odds ratios of diastolic dysfunction among those aged 75 years and older, while resistance alone was associated with increased odds ratio among those less than 75 years old. Frailty is associated with heart failure with preserved ejection fraction (HFpEF), and frailty screening may be used to detect undiagnosed HFpEF. The findings support the proposal that HFpEF be considered a geriatric syndrome.